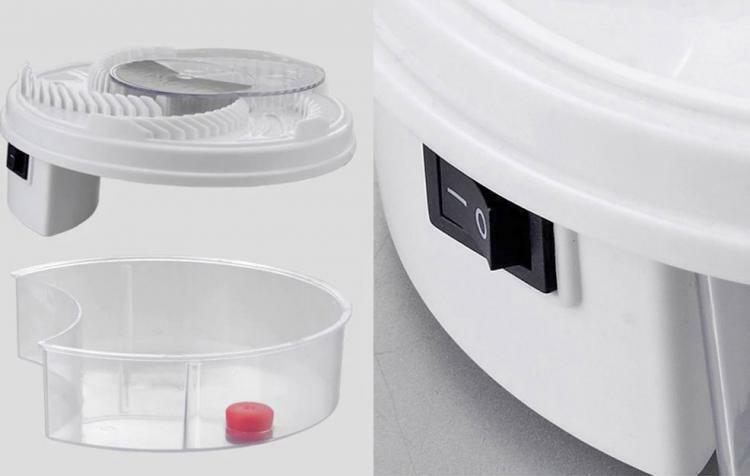 The circular fly trap has a series of bowls around the perimeter of the trap where you can place something that will attract the flies like soda, syrup, or whatever else flies love to eat up. 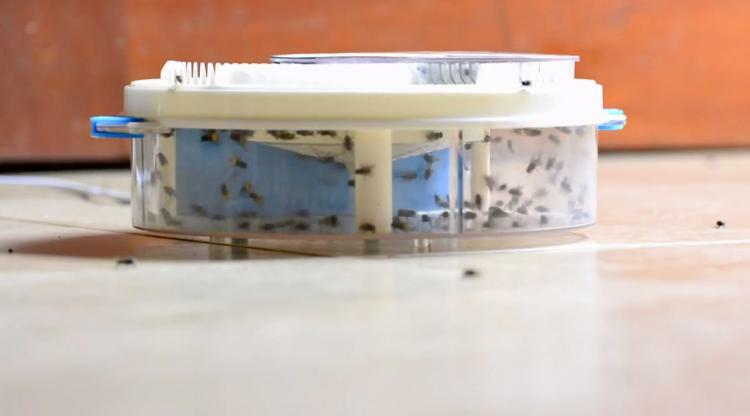 Then just turn it on, and the trap will rotate it's arm around the edge, scooping up all of the flies that are eating the goodness placed out for them in the bait traps. 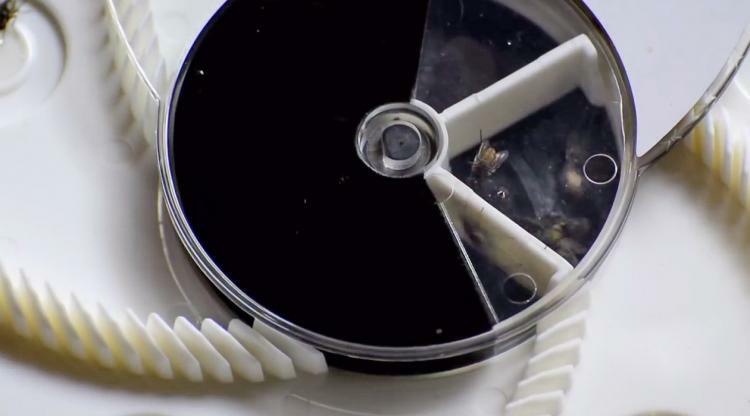 The unique rotating fly trap is super quiet, so you'll never notice it mass-murdering flies if you don't actually see it. 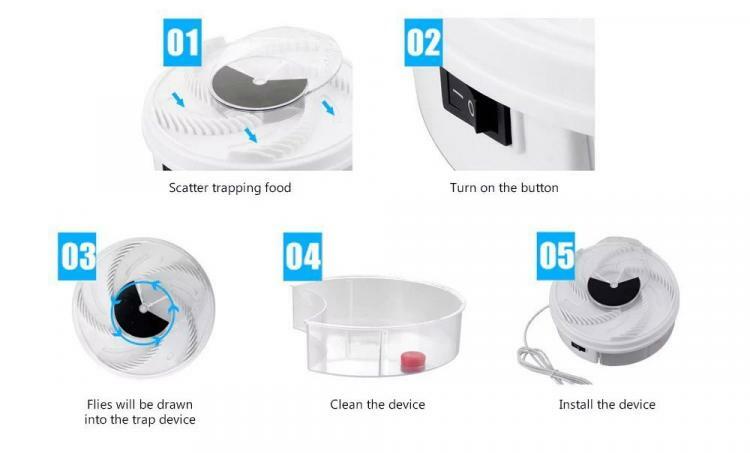 It also uses very little energy, emits no smells from the flies since they're all self-contained inside the device, and will certainly make your outdoor living that much more enjoyable. 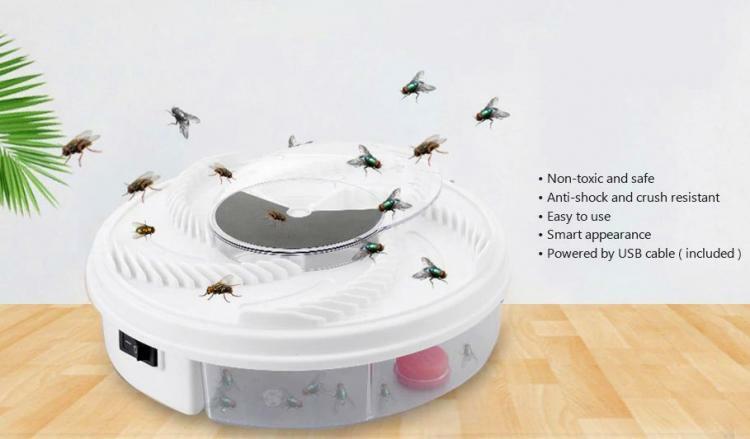 The revolving electronic fly trap is powered via a USB cord that you can plug into a computer or a wall outlet using an adapter, it contains 5 grooves for insect/fly bait, and is super efficient at not only capturing flies, but a slew of other bugs and insects like fruit flies, mosquitoes, and more. 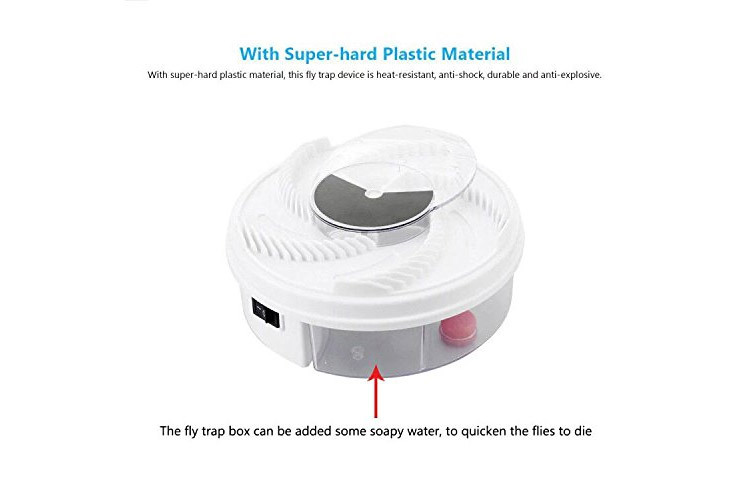 The rotating fly trap is super easy to use, is made from a non-toxic material, is super effective at clearing away flies, might be the most ingeniously designed fly trap ever, and measures 7.87 inches in diameter x 2.75 inches tall. 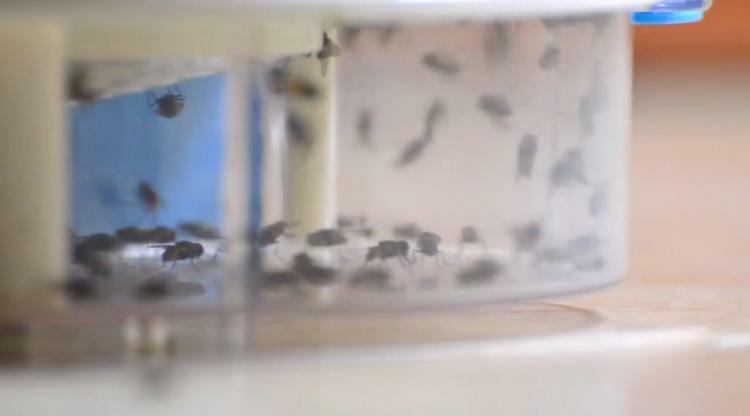 Check out the electronic rotating arm housefly trap in action via the video below.